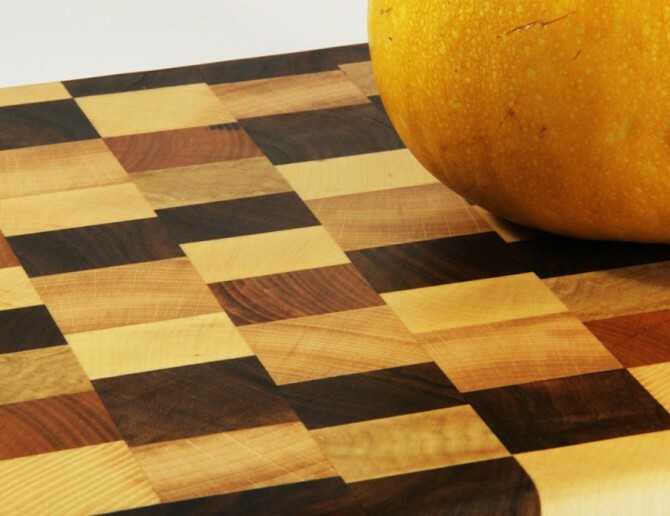 Cette planche à découper en bois debout artisanale est une pièce unique. 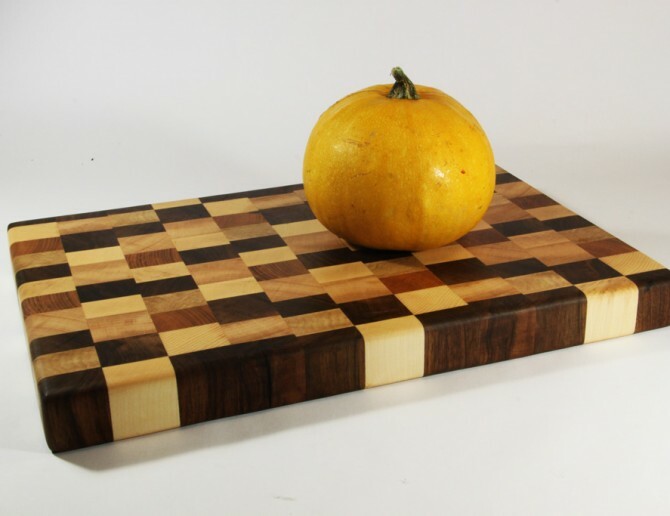 Handcrafted wooden cutting board made of beech wood with the addition of a « patchwork » band composed of walnut, amaranth, oak, ash, Finnish pine, charm, maple and cherry. 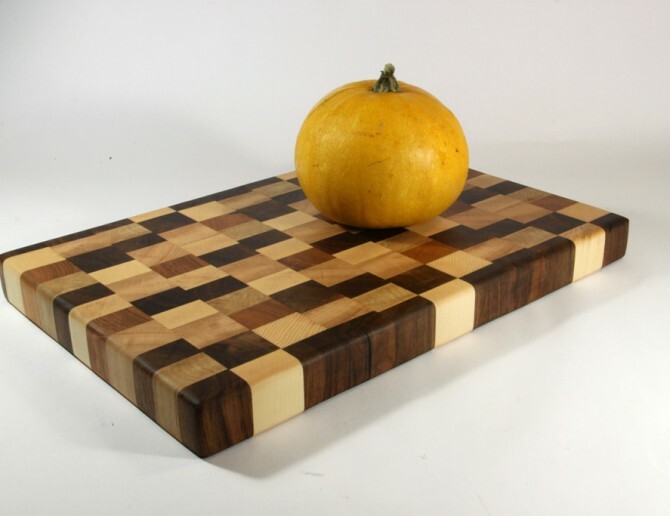 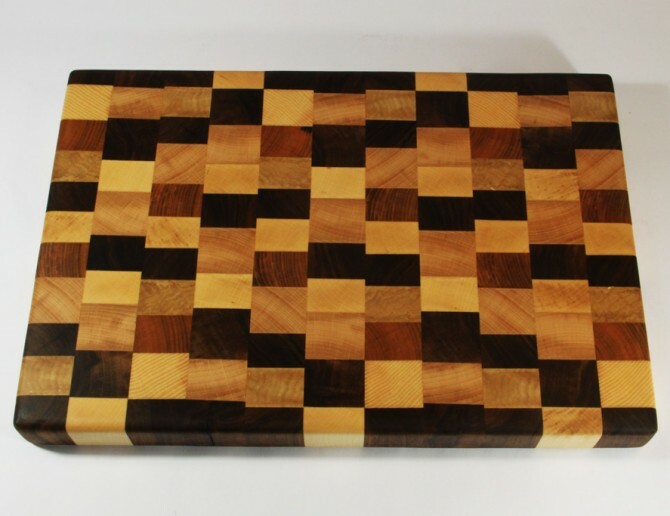 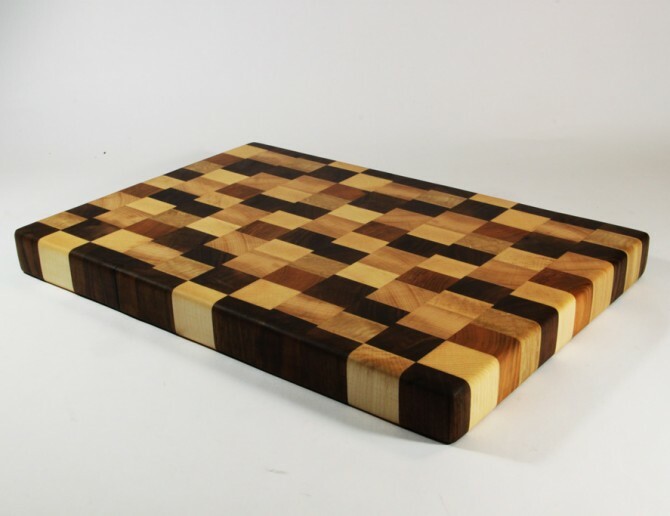 This small handcrafted wooden cutting board measures 27 cm by 30 cm. 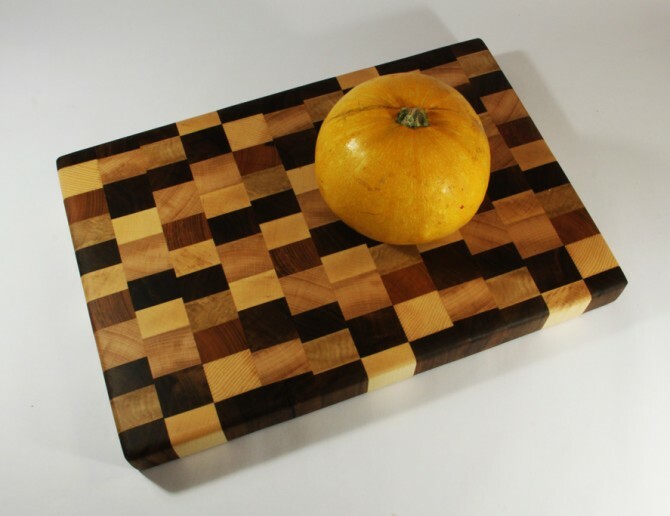 Oil-based finish suitable for food contact.